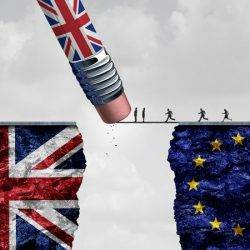 Half of employers believe that Brexit will worsen the UK skills gap and nearly a quarter (23 percent) believe that Britain is not prepared to compete on the global stage, which will become even more important following the UK’s exit from the European Union in 2019. These are the findings of a research paper entitled “Solving the UK Skills Shortage” from Rober Walters, totaljobs and Jobsite which claims that almost two thirds of employers (65 percent) believe that they will be negatively impacted by skills shortages in 2018, with this shortage predicted to be most acute at junior and mid management level according to over half (52 percent) of employers. According to the research, employers may have to look to different industries to find the transferable skills that are essential to grow. This means that there will be more opportunities for skilled candidates to use their knowledge and experience in different sectors, providing them with new challenges and opportunities in industries that they may not have considered before. Said David Clift, HR Director for totaljobs: “As we head closer towards Brexit employers will have to think differently about how they attract and retain the best talent from across the globe. For current staff, training will be key to closing any skills gaps, and giving employees the confidence that the businesses they work for can help them fulfil their career ambitions. “When it comes to attracting staff, employers will have to look to different industries to find the transferable skills that are essential to grow. This means that there will be more opportunities for skilled candidates to use their knowledge and experience in different sectors, providing them with new challenges and opportunities in industries that they may not have considered before. “Shortages are likely to be particularly severe at the junior and mid-management, partly due to the long-term impact of the 2008 financial crisis, when levels of graduate recruitment fell sharply. “While the ultimate impact Brexit may have is not yet clear, it is possible that employers will have to revise recruitment strategies to compensate for the lack of easy and simple access to professionals in Europe,” Said Chris Hickey, Robert Walters CEO – UK, Middle East and Africa.